Solace Beach Estates San Diego 3D opens tomorrow! Home » Blog » Solace Beach Estates San Diego 3D opens tomorrow! SAN DIEGO 3D is pleased to announce our official grand opening on Sunday, January 22, 2012. San Diego 3D is a themed entertainment destination recreating the look and feel of San Diego, California in the virtual world Second Life. Using their avatar, visitors can explore some of San Diego’s most beautiful landmarks, in stunning, interactive 3D. Destinations include historic Old Town; Balboa Park’s Organ Pavilion, Museum of Art, and Spanish Village Arts Center; downtown; and the famous San Diego Zoo. For entertainment, they can catch a live performance at the Balboa Theatre, or dance in the ballroom at the Hotel Del Coronado. San Diego 3D promotes tourism, entertainment, and the arts through strategic partnerships with businesses and organizations operating in the physical and virtual world. Founded in 2007 as “Diegoland”, the project passed into the hands of its current owner, Ayesha Lytton, in 2010. 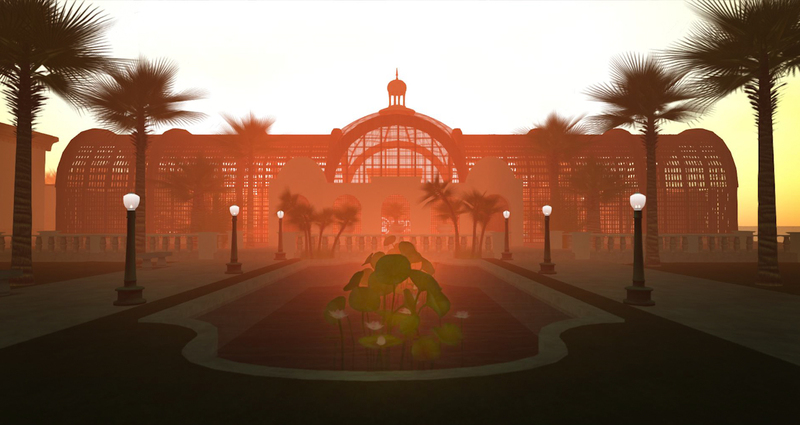 In 2011, the simulator was completely rebuilt by Akimeta Metaverse Development to create the most realistic replicas yet of numerous San Diego locations. Our grand opening event will be held on Sunday, January 22, 2012 at the Balboa Theatre. This near-replica of the 1920’s vaudeville and movie theatre features numerous details accurate to the real building, including its famed wall murals and working waterfalls in the auditorium. The Balboa Theatre 3D raises the bar for live performances in Second Life, using realistic animations, sets and costumes to create a truly immersive theatre experience. Our first concert showcases soprano Tamra Hayden, who has starred on Broadway and on tour in musicals such as Les Miserables, the Phantom of the Opera, and Cabaret. A talented songwriter in her own right, she will be sharing some of her own beautiful music as well as favorites from Phantom, Wicked, and more. Hayden and Lytton have been collaborating for several months with programmers Alchemy Epstein and Tangle Giano, as well as builders and designers to create the effects seen in the production. The event is open to the public and all are welcome to attend. Formal or semi-formal attire is preferred.